Hello Fabricworms! It's getting colder outside and we're loving it! This weather calls for layers, hot cocoa, and maybe some new cozy fabrics. 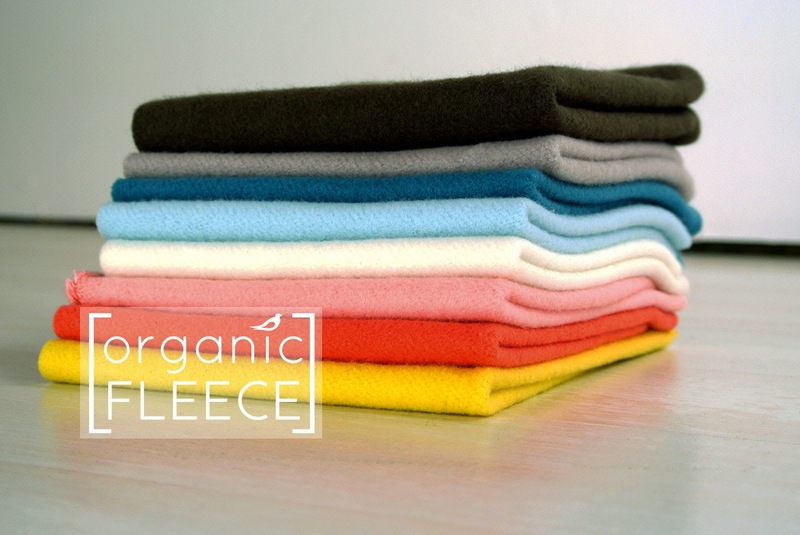 This week we will be giving away two free yards of Birch Organic Fleece. Winner gets to decide which fabric they would like. Enter to win! This giveaway ends on Sunday 12/21 @ 12 am PST. The winner will be contacted shortly after by email. The winner will be chosen by random.org through Rafflecopter. Organic fleece sounds so soft and lovely! I'd love to win this! I'd make something warm and cuddly! The colors that this fleece come in are fantastic! I'd love to win this!!!!! My favorite color is orange - need to look and see if it comes in that. The idea of a poncho is divine - warm but not confining - great to snuggle down into in a cold office. I am not sure what I would create but it would be cuddly and warm. I love teal or coral! I would love to make the fleece welly liner and the poncho! I love your fabric! Oh this looks so soft and cuddly! I love the poncho pattern! 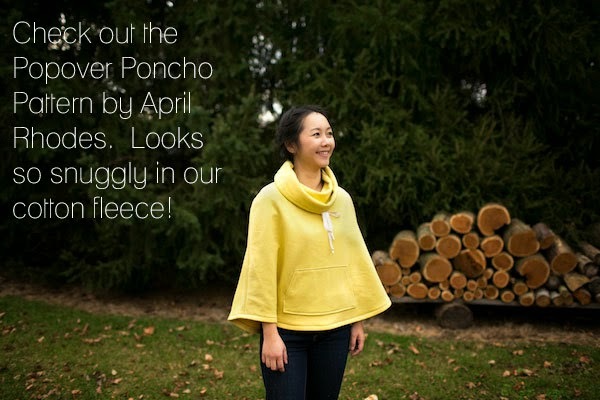 I'd like to make a Linden Sweatshirt or Popover Poncho. I think both would be so cozy in this fleece. I like the Coral color. My favorite color depends upon the project :) And I'd make a blanket! The poncho looks very comfortable! I think my favorite color is the cream, and I'd love to male some stuffed animals from this! I'd make cozy sweatshirt tunics/dresses for my little girls! I would make my granddaughter two fleece ponchos. The colors I would pick are orange and the soft blue. Thanks for the giveaway. The fabric looks so soft! This fabric looks so cozy... Plus is organic! Hi,it looks so soft;I think I'd make a baby blanket!Thanks for a great giveaway! That darker blue is lovely. I'd probably use it to make pj pants for my little guy! I would make a lap blanket or some lounge around the house pants. I love black and red. I'd love to make a poncho! I'd make some stuffies and some finger puppets. I love anything blue! I would really love to try this fabric in the white. I would make a warm & soft baby boy quilt. Have the pink, just love it. Need the baby blue color. I would love some of this for hooded scarves. I'd make a hoodie for me! it looks so incredible soft. pajama pants?! baby and grandchild gifts - maybe some quiet books? 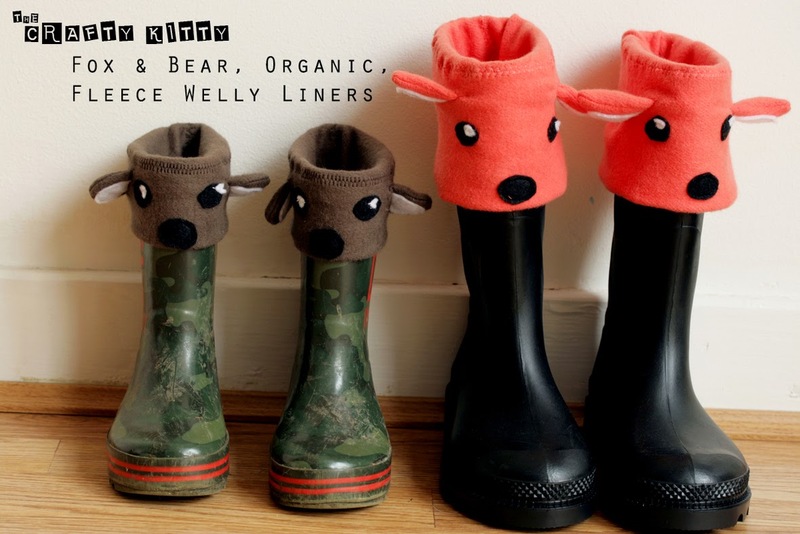 I love the look of the liners for childrens wellies and I also like the poncho for myself - so I would make those. The fabric looks so soft and all the colours are lovely - I would have to think about the colour for my poncho for a while before I choose. I'd make a snuggly blankie for my little girl! I would love to try out this fleece. I would love to be able to win this fabric. I would probably use it to back a quilt. My favorite color is pink or coral. With 2 yards of soft fleece, I'd make a toddler pillow and a small blanket to match. My favorite color is any shade of purple! I would love to make hats and mittens!! Thanks! Interesting! A shawl would be great! A scarf or hooded scarf would look and feel toasty with this fleece, I love the orange or teal! I would make a zip front vest. The Shroom color is lovely. I'd make my 4 month old grandson a warm blanket. I'd love to make a Hoodie. I've used organic fleece for the backside of a baby blanket. Loveliness complete!!! I think I would make each of my granddaughters a fleece zip up hoodie. I love the turquoise! Looking at it in this cold weather makes me want to grab hot chocolate and a book. My favorite color would be turquoise, but I'm open to most colors. I would make a blanket, have a great day! I think I'd try to make mittens or a hat... that teal/turquoise listed is amazing, that might be my favorite color. Thnanks! I would make a fleece quilt. Maybe a pair of sleep pants for my grands. I think I'd make a poncho for my grand child! Would love to try some of this organic fleece! Thanks for the chance. I love fleece, I make baby blankets, and buntings. Would make something for my granddaughters in pink or teal. The fabric looks so soft and cozy. Love that it's organic. I would create a beautiful light blue blouse!!! I would love to win this! Looks fab! Oh what beautiful colors! I would LOVE to win! Pretty please! I love the dark green. Hmmmm..... what to make? cuddly pillows? a layering vest? I really want to try this for baby blankets and sleepsacks, I wonder how much fits into a Flat Rate envelope? I just wore a fleece hat for the first time a couple of days ago (yes, I *do* live under a rock..) and loved how it kept the wind out of my ears! I'd love to have grey or black fleece to make some with. Ooooh! I'd love to try some of this fleece! the interior of a jacket for my daughter would be great. Warm neck and head warmers, for sure! It's so cold!!! So many wonderful things I could do with the fleece!!! It would be a great backing to a quilt or beautiful jammies!!! I love that this fabric is organic and such gorgeous colors. Love the Teal! Would love to play around with it. Maybe some soft cuddly bunnies or something. I really really really want a fleece pillowcase so I can be all cuddly and snuggly in bed!! Green is my favourite colour for anything!!! Organic fabric is so hard to find in our city, I would love to play with some organic fleece! Gorgeous fleece! I put on my boots this morning to muck out the chicken coop and my feet were freezing - I think I need the welly liners in my size! A sweatshirt dress or skirt! This fleece looks so soft and cuddly, and I love the colors, especially Sky! These Fleece seems so lovely! I'd make house coats for a couple little boys. My favorite color is the light blue, but the dark blue is my second favorite. I honestly think I would just snuggle with it for a while first! I love the orange! I love gray and green! :) I would likely use it to make stuffed friends. Thanks! Gorgeous colors, perfect for cozy kids' hats! My guys love some flannel on a cold winter's day. I love the cream and grey, i'd probably make something cozy like a jacket or pullover. I'd make a Sleeping Bag pjs for my little granddaughter. I love the coral. Gorgeous colour! The possibilities are endless for what I might make, but I know it will be wonderful! I love the coral! Ooh, tough choice on which color! I think I like sky but it looks different from your photo to the swatch on their website! I'd love to make sweaters for both my kids.